It’s easy to think of employee recordkeeping as one of the ‘necessary evils’ of running a business. And it’s just as easy to let good recordkeeping habits slip … until you find that you’re losing precious hours handling employee paperwork, tracking down files and records, and looking up the same information repeatedly. 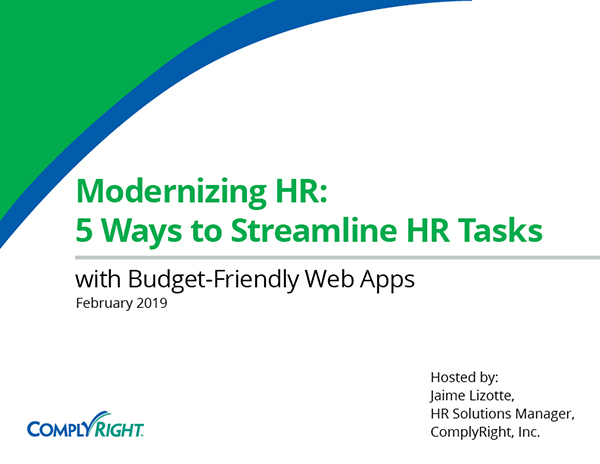 In our post-webinar Q&A Session, Jaime Lizotte, HR Solutions Manager, answers your questions on how to get your employee recordkeeping processes under control, once and for all. What is the retention requirement for offer letters? The offer letter should be treated just like any other hiring form, such as a job application, resume, etc. So it should be kept for at least a year, along with all other hiring documents. 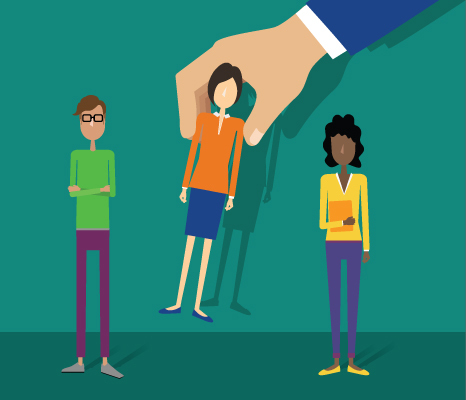 When it comes to the retention for employment contracts, is it three years after the employee leaves or three years after the end of the contract? This question is a little bit tricky because the FLSA or Fair Labor Standards Act regulations do not really specify whether you need to keep the contract three years after the employee leaves or three years after the contract ends. However, for best practices, it is recommended that you keep it at least three years after the contract ends. Basically, if you keep it after the contract ends — it’s almost the same as keeping it three years after the employee leaves, especially if you didn’t renew the contract. Is a company required to maintain hard copies or will scanned or electronic documents suffice? And, if maintaining electronic files are the retention dates the same as paper? The answer here is no. You are not required to keep both a hard copy as well as an electronic copy. And, to be honest, it’s best practices not to, because then you have to make sure you maintain both, making sure both versions are up to date and consistent if any changes are made, creating more work for you and really not eliminating it when moving to electronic files. And yes, the same retention requirements apply to both paper and electronic records. So for an electronic I-9 or a paper I-9, the requirement is the same — either three years after hire date or one year after termination, whichever is later. With regard to electronic recordkeeping, is it appropriate to keep records beyond required dates, especially if storage is not an issue? The answer here is absolutely no. Again, you want to make sure to purge your records once you meet the retention requirement, because any records you have that are not compliant could end up costing your company fines and if the employee is no longer working for you, you don’t want his or her files to cost you. And that’s also why it’s important to look for a partner, when choosing software, that is compliance-centric to help you meet retention requirements and purge old records not needed, so you eliminate chances of noncompliance for old records and former employees. In regard to the I-9 forms — can you start purging the form after three years if the person is still employed with the company? This is the most popular misconception of the I-9 form record retention law. As long as an employee is working with your company, he or she MUST have an I-9 on file. However, once someone leaves your company, then the retention period sets in and you have to keep their form on file for three years after their hire date or one year after they left your company — whichever date is later. Another question we received regarding I-9s was — what is the date requirement for individuals who should have an I-9 on file? And who should have a Form I-9 in their file because they have employees who have worked there for more than 30 years and they don’t have an I-9? Well, I think what this question is asking is when was it required for employers to start having employees complete an I-9 form? And the answer is 1986 — so you may have employees in your company who have worked for you for more than 32 years who do not have an I-9 form on file. This is because the I-9 was introduced in 1986, and anyone employed after 1986 had to have an I-9 filled out, but if you have employees who worked before 1986 then they would not have an I-9 on file. How would anyone know if we kept resumes for one year or not? Unless they are sent electronically, why would we keep resumes? Well, this is a great question, because who is going to audit your resumes. However, what if you have a candidate you interviewed, but didn’t hire file a discrimination complaint against you? Having the resume on file could protect you in a lawsuit of he said/she said — as well as having the job description, ad, etc. If you don’t, again, it’s your word against theirs. How long do we need to keep workers’ comp claims/injury information? For any OHSA forms related to injuries or illnesses and including workers comp, this affects employers with 11 or more employees, they must keep documents for five years following the end of the calendar year the records cover. Does software date the document and discard it when the retention requirement period is up? The answer here is, it really depends on the software solution you use. Typically, the date a document is completed electronically should be stored in the platform. And I am sure there are software services that provide options for your documents to be purged automatically once meeting the requirements or it could also be a manual process you do, but the software should provide at least a notification that you have reached the retention requirement so you know you can purge and not risk your company any compliance issues for keeping it beyond its requirement.